Finger Lime is a native citrus prized for its unique caviar-like pulp and attractive colour, which can vary between yellow, green, pale pink and crimson. 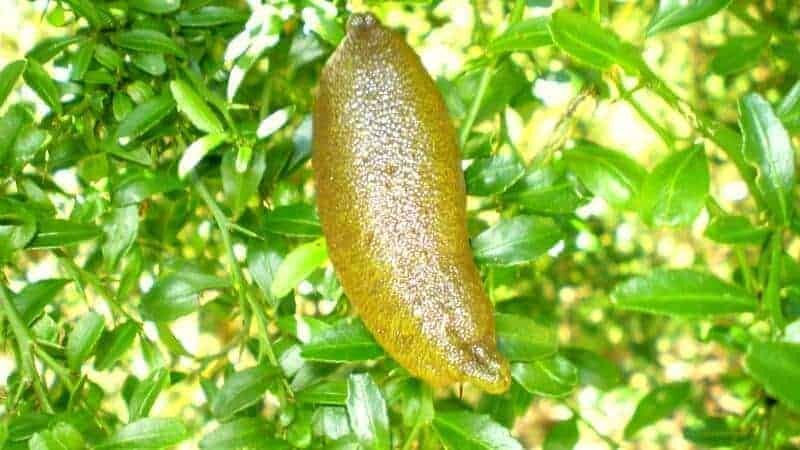 Finger Lime trees were traditionally found in the sub-tropical rainforests of Northern NSW and Queensland, part of the Bundjalung language nation. White Autumn flowers are followed in Winter and Spring by slow-growing finger-shaped fruit containing glistening ‘citrus pearls’. When bitten, these pearl explode in a juicy sweet, refreshing burst. This fruit is great in summer drinks and desserts, and may also be used in chutneys, jams and marmalades. Both juice and pulp go well with fresh oysters, fish and calamari. 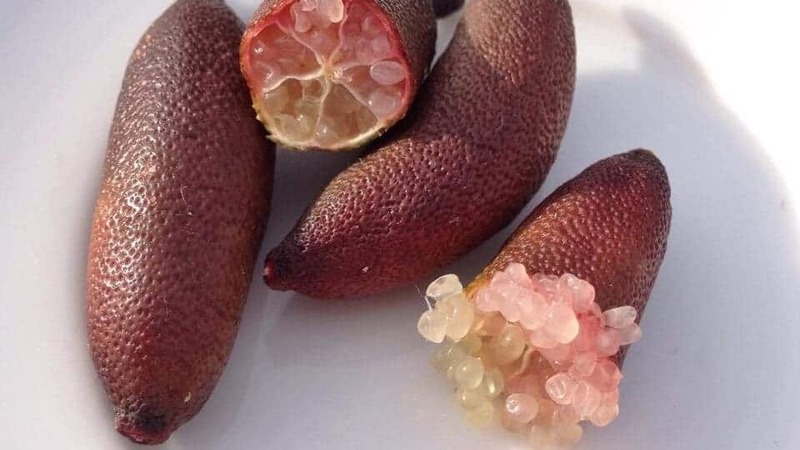 Finger Lime fruit doesn’t ripen well off the tree, so pick only fully ripe fruit – these will feel full and detach easily. When opening the fruit, avoid getting oil from the rind onto the pearls, as this can affect the flavour. Finger Limes thrive in dappled light as well as full sun. In cooler climates, a partly shaded north-facing site is preferred. Plant in well-draining soil, mulch in Spring and keep ground moist in Summer. Protect from frost and drying winds. For best results, fertilise lightly every 3 months, and feed regularly with small quantities of worm castings or seaweed emulsion. This tree can grow up to 6m in height, but may be kept small with regular pruning. 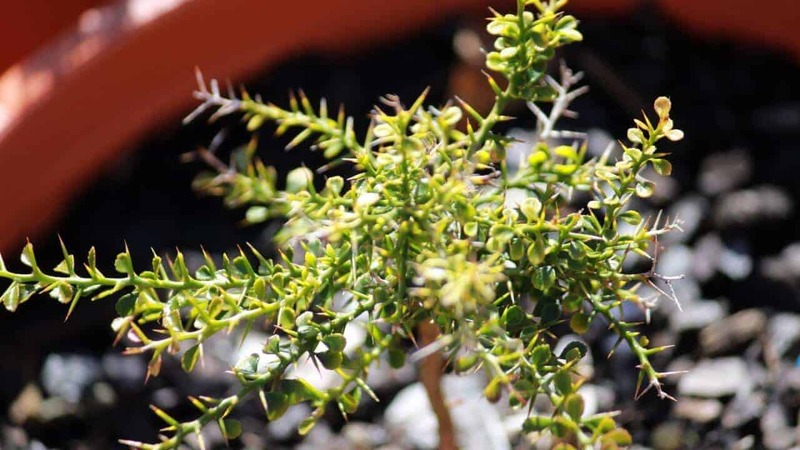 As a thorny shrub or small tree, it provides suitable protection for nesting birds. Makes an excellent and elegant pot specimen for a courtyard or balcony. Works well as a hedge or along an espalier wall. The new leaves on my Finger Lime tree are curled up and covered with wavy white lines. What should I do? This is caused by an insect called a Citrus Leaf Miner. Remove the affected foliage and spray new leaves with horticultural oil. What are the dark brown and black spots on my Finger Lime fruit and leaves? Finger Limes are susceptible to melanose, a fungus that affects all varieties of Citrus plants. The fungal spores develop in dead wood and are released by water or rainfall. Prune off all dead twigs and branches, and remove detritus from around the base of the tree. Avoid applying chemical sprays while your tree is in flower. Why is my Finger Lime not producing flowers or fruit? Your plant may not be getting enough sunlight in its current spot; try shifting it to a sunnier position or moving shade objects to allow more light through. If you fertilise your soil, switch to a fertiliser with a lower nitrogen (N) percentage.